2. Add the solution links of some problems. 1. Support converting eBooks to KFX format. 1. Fix the crash issue in some circumstances. 2. Optimize the progress display of sending output files to Kindle. 1. Fix some minor bugs. 1. Add two built-in FAQ links: Q9 and Q10. 2. Add a new capability of EPUB Fixer in Settings window. 1. Fix the compatibility issue on some computers. 2. Support converting encrypted AZW file in local Kindle library. 3. Add support for more input formats, including PRC, HTMLZ, DOCX and so on. 1. 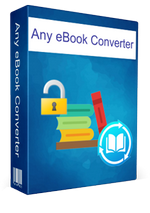 Support decoding and converting Kobo & Nook eBooks. 3. Support 16 languages including English, Azerbaijani, Chinese Simplified, Chinese Traditional, Danish, Dutch, Finnish, French, German, Indonesian, Italian, Japanese, Polish, Portuguese, Spanish, and Turkish. 4. Fix some other minor bugs.